Before emerging as one of the world’s best business and tourist attracting city, Dubai was mainly relying for its economy on benefits it was taking as a coastal city. Soon after independence in 1971, the emirate soon shifted its priorities as it wasn’t enjoying vast deposits of oil and gas that were available to other emirates in UAE. Dubai’s focus was to attract more and more foreign investors, entrepreneurs and tourists for its economic growth. This policy proved extremely successful. Now Dubai is known as one of the world’s best places for various types of businesses. Apart from that, it is also one of the world’s most visited places in the world as millions of tourists visit Dubai everywhere for entertainment, medical treatment and other reasons. According to details, Dubai is behind just four other port cities in this list including Singapore, Hong Kong, London and Shanghai. Dubai achieved this place thanks to a competitive environment it provides to conducive trade and investment, modern infrastructure and world’s best maritime and logistics capabilities. 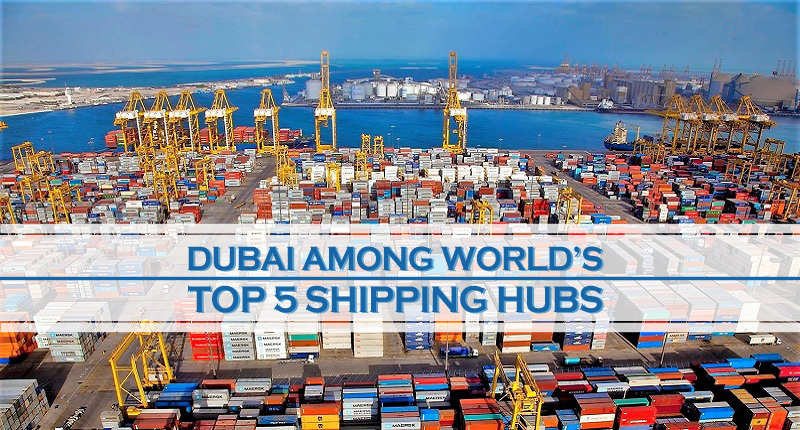 Previously, Dubai was on 6th spot in this list and its arrival in the top 5 resulted in the decline of German port of Hamburg. Its position fell from 4th to 7th this year. Apart from Dubai, Rotterdam (Netherlands) has also improved its position in the ranking from last year’s 8th to 6th this year. Chairman of Dubai Maritime City Authority (DMCA), Sultan Ahmed bin Sulayem, expressed his pleasure on this achievement. He said that he is not surprised on this inclusion of Dubai in list of top 5 because he was sure of this growth due to several important measures taken by his department and government of Dubai in the past year or so. This recent ranking shows that like other industries, Dubai is also progressing in maritime and shipping industry. This provides good indication to companies related to shipping industry about the opportunities available for growth of their type of business in Dubai. For further details and practical assistance in this matter, you can contact Riz & Mona Consultancy via our WhatsApp # 971-56-9971225.